Local resident Gina Mariano votes in the preliminary election at the Lower Mills branch of the Boston Public Library on September 25, 2017. Elsewhere around the nation, the general election campaign is in early to mid-bloom. In Illinois, primary voters cast ballots on March 20. West Virginia held its primary on May 8, Virginia on June 12, also Maine’s primary day. In California, primary voters went to the polls on June 5. Indeed, at this point, 29 states have already completed their primaries. In those states, the general election candidates will have more time to make their case to a general election audience. In spring primary states, nominees can start their general election campaigning before school lets out, summer beckons, and civic attention dwindles. Such a schedule also allows for more post-primary fund-raising. All in all, spring primaries tend to foster more competitive politics. In Massachusetts, however, the primary season drags on like an existentialist’s nightmare. This year, the primary won’t take place until Sept. 4, the day after Labor Day. That means challengers will have only about two months to mount their challenges to incumbent officeholders. That’s nice if one happens to be an entrenched officeholder with a bulging war chest, but problematic indeed if you are a challenger scrambling to pivot toward the general election. This year, one of the contested Democratic primary races here is for secretary of state, the Commonwealth’s top election official. Which makes this a good time to ask the two Democratic candidates — long-time incumbent Bill Galvin and challenger Josh Zakim, currently a Boston city councilor — plus Republican candidate Anthony Amore whether they support a spring primary. Eligible residents who interact with the Registry of Motor Vehicles or MassHealth would have to opt out if they don’t want to join the state’s voter rolls. Incumbent Secretary of State Bill Galvin, via telephone interview: Yes. A spring primary, Galvin notes, would solve a fall primary problem created by the federal Military and Overseas Voter Empowerment (MOVE) Act, which requires states to mail requested absentee ballots to military personnel and Americans overseas at least 45 days before the general election date. 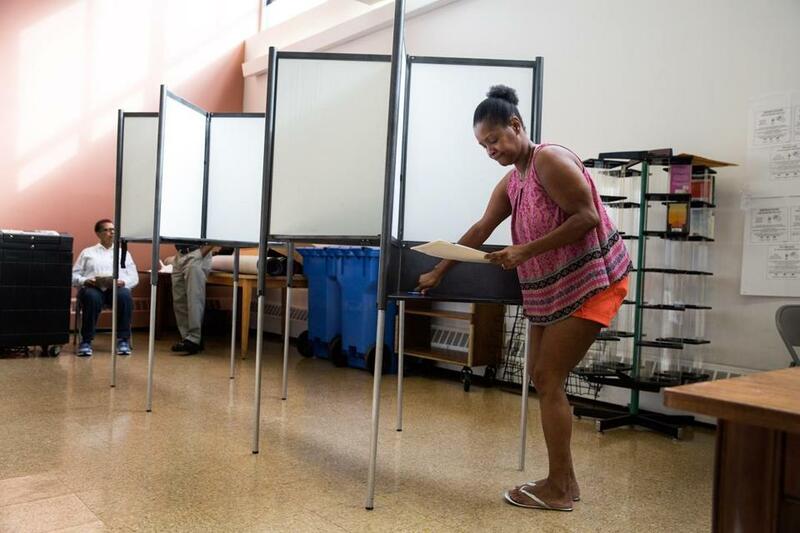 That law, in conjunction with the Jewish holidays in September, sometimes makes it difficult to schedule the primary on a day that is both convenient for voters and likely to draw a decent turnout. Now, there’s a cause for both the next secretary of state — whoever he turns out to be — and the good-government reformers eager for more competitive, responsive, voter-friendly politics in Massachusetts.